It’s exhilarating to know that you’re among the first in the world to experience something extraordinary. The Seabourn Encore launches December 2016, and we can reserve your spot aboard this nimble new ship, delivering you to smaller ports that bigger vessels simply cannot reach, enriched by onboard activities and amenities rivaling that of a large ship. 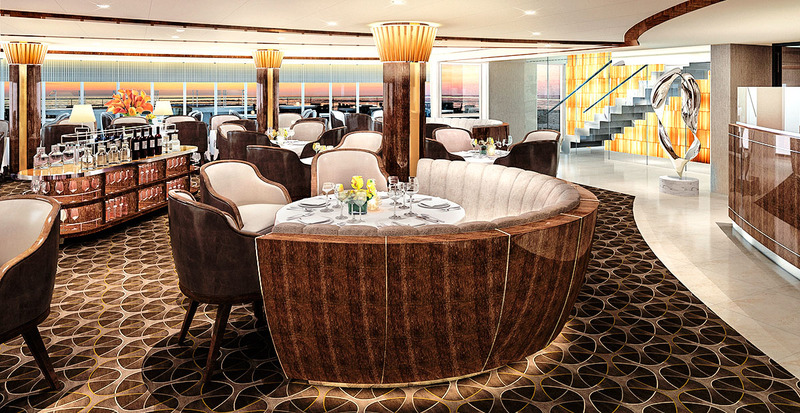 We share a coveted first look at this new vessel, modeled after Seabourn’s award-winning fleet. Seabourn Encore’s collection of unique itineraries for its maiden season anchors in must-see cities and smaller ports alike and includes the flexibility of choosing between week-long voyages and extended journeys. Each itinerary is carefully designed to take you into coveted locales replete with inspiring beauty, intriguing cultures and modern wonders. What better way to touch the jewels of the South Pacific than in one effortless journey? 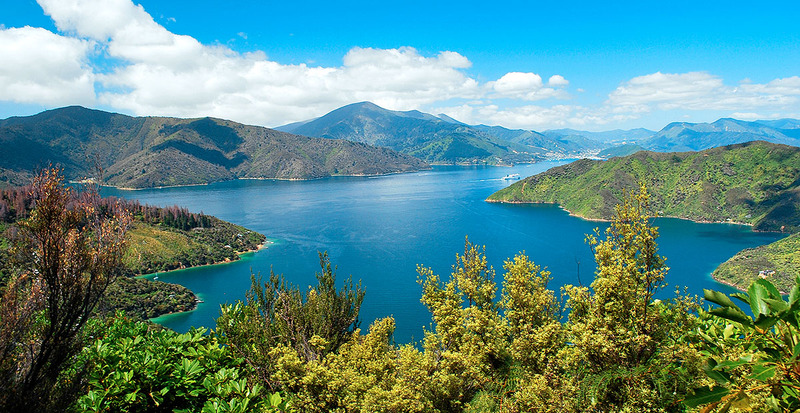 Your voyage connects you to the most vibrant cities in Australia and New Zealand and islands of paradise dotting the sea. You’ll be just as enchanted by seeing iconic landmarks like the Sydney Opera House as you will be swimming among marine life on the Great Barrier Reef and sunning yourself on Bali’s black-sand beaches. Immerse yourself within the cradle of civilization where centuries of heritage are juxtaposed against modern marvels. 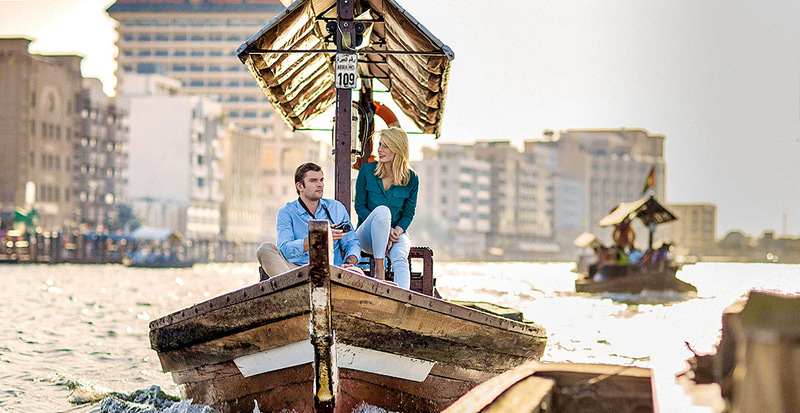 Dubai’s dazzling architecture gives way to traditional dhow cruises along the central creek; the backwaters of Kerala showcase breathtaking landscapes of coconut groves and rice paddies while Mumbai’s glittering lights are on full display on an evening excursion — including the Gateway of India aglow under the night sky. 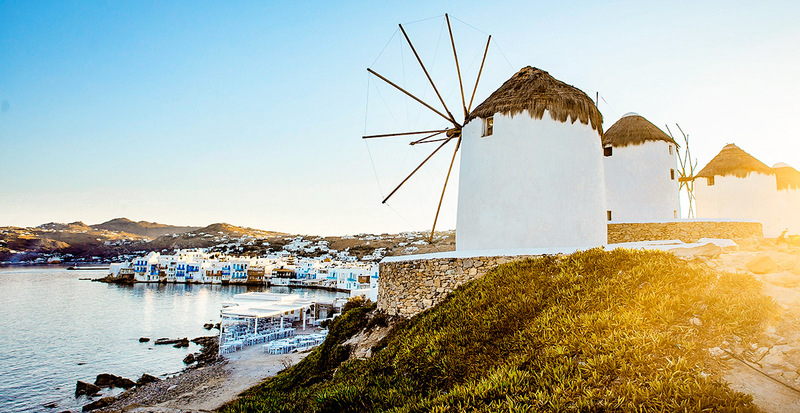 Choose from a seven- or 21-day sojourn that sails between the Greek Isles or delves deeper into the Eastern Mediterranean. You can meander through Istanbul’s eclectic Grand Bazaar, surround yourself in mythology while traipsing through ancient ruins in Athens and glide through Venice's famous canals, all within the same voyage. When you devote time to an extended voyage, the world truly becomes your oyster. Discover the gems of the Java Sea and South Pacific on a 42-day cruise or spend an invigorating two months cruising from Arabia to India and farther afield in Asia. 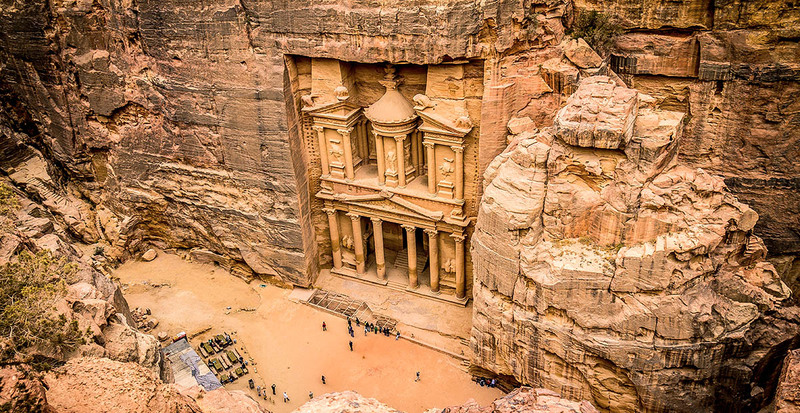 Wend from Greece to Australia with an overnight stay in Singapore and a visit to Petra’s prehistoric ruins. Or see New Zealand and Indonesia in one swift expedition. These once-in-a-lifetime cruises consolidate your travel aspirations into a single trip with the benefit of laid-back days at sea and the convenience of unpacking only once. Let your days at sea be as full as your days ashore, with a cadre of diversions that enrich, delight and indulge. 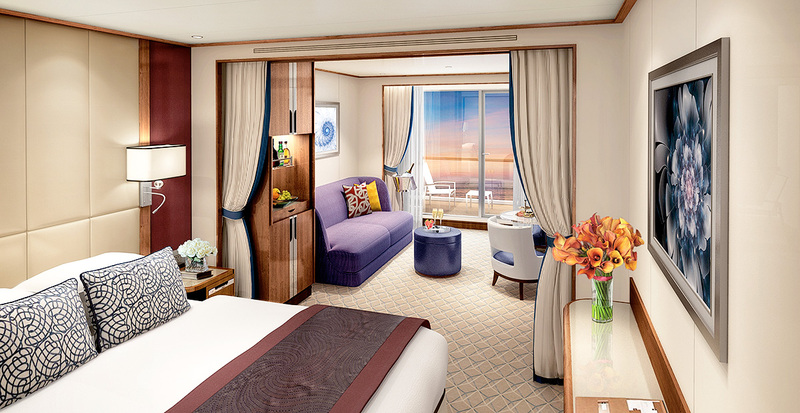 Beginning with the glass of champagne you’re handed when welcomed by your Suite Stewardess, a sense of inviting luxury permeates Seabourn Encore’s accommodations, boasting 300 suites with private verandas. Your bar is stocked to suit, your stationery bears your monogram and a plush robe waits to envelop you at the end of each day. 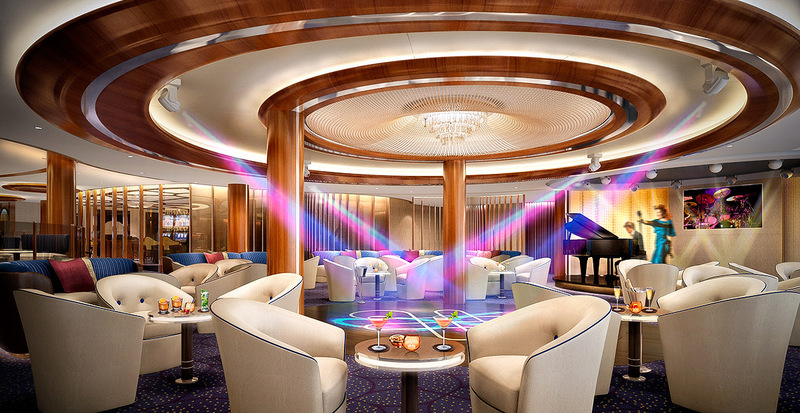 After your days spent ashore, Seabourn Encore’s country club-like atmosphere is highly anticipated. Arrive back to intuitive service: Your bartender welcomes you with your favorite wine, and your Suite Stewardess has already drawn a bath before a romantic dinner on the veranda, arranged just for you. 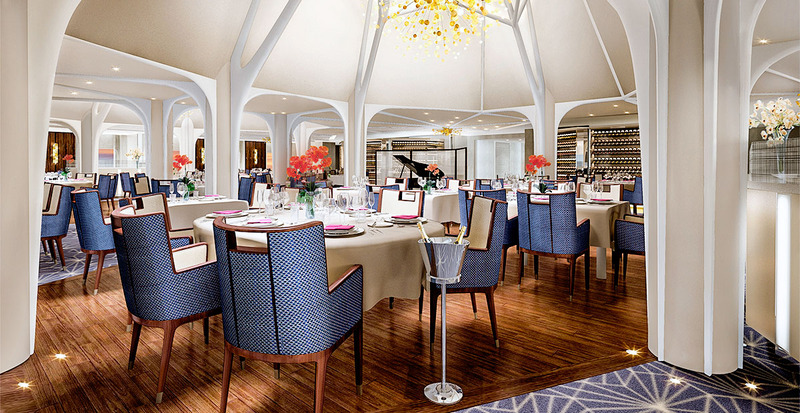 Seabourn’s inclusive concept extends to each world-class restaurant with complimentary dining, no tipping required. Enjoy everything from steak to sushi with fine wines, available on an open-seating basis. Or, pass by any of the ship’s open bars for an aperitif on your way to dinner at The Restaurant. With a menu and ambiance inspired by a classic American chophouse, The Grill is a collaboration between three-star Michelin chef Thomas Keller and designer Adam D. Tihany exclusively for Seabourn. Guests of The Grill by Thomas Keller are treated to the freshest produce from artisan purveyors, such as table-side preparations of Caesar salad and ice cream sundaes as well as a range of other steakhouse favorites like Lobster Thermidor and creamed spinach presented à la carte. 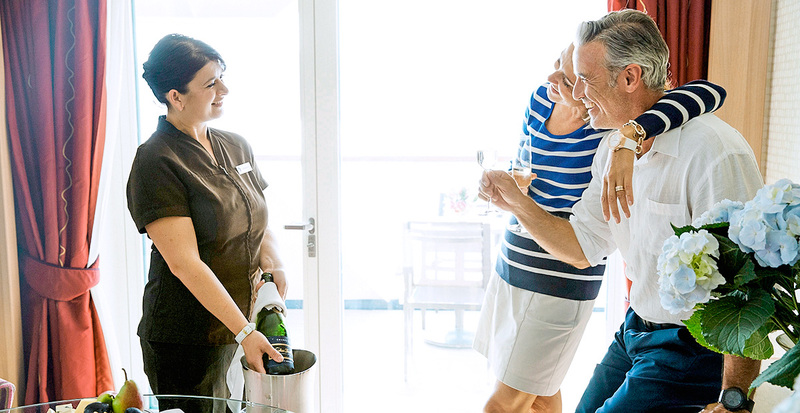 You’ll find engaging moments from bow to stern when you sail with Seabourn Encore. Delightful diversions include a personal session at The Spa followed by enlightening Seabourn Conversations with scholars and experts or white-gloved tea service, brewed to order. Then, dance the night away to live jazz music during an Evening Under the Stars. Excited about exploring the world? Let’s begin planning your most personalized cruise yet with Seabourn.